The talented student recipients of the Jim Henson Fund for Puppetry will perform/present their funded projects. This year’s student presenters are Kristen Ahern (MFA Design candidate), Olivia Brann (MA candidate), Chris Brusberg (MFA Design candidate), and Stacey Carlson (MFA Dance candidate). 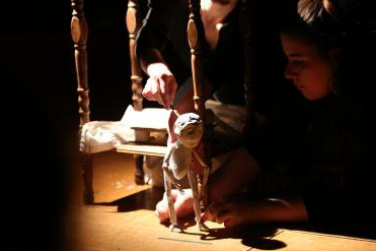 The School of Theatre, Dance and Performance Studies hosts an annual competition and recipients are awarded funds to create a puppet project or performance. The Jim Henson Fund for Puppetry was established by Jane Henson to honor the memory of Jim Henson (1960), creator of the world famous Muppets.